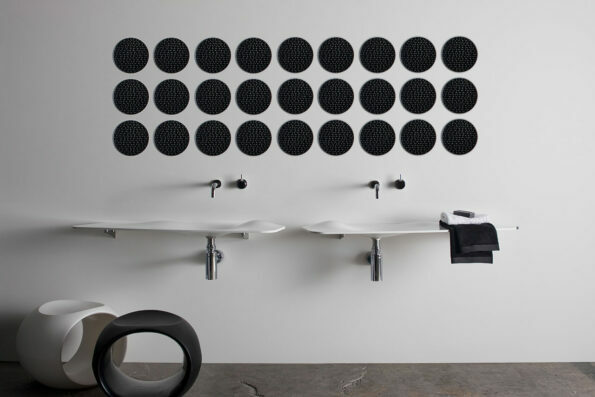 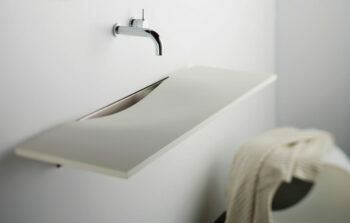 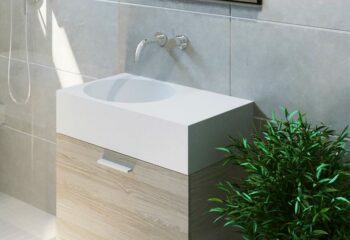 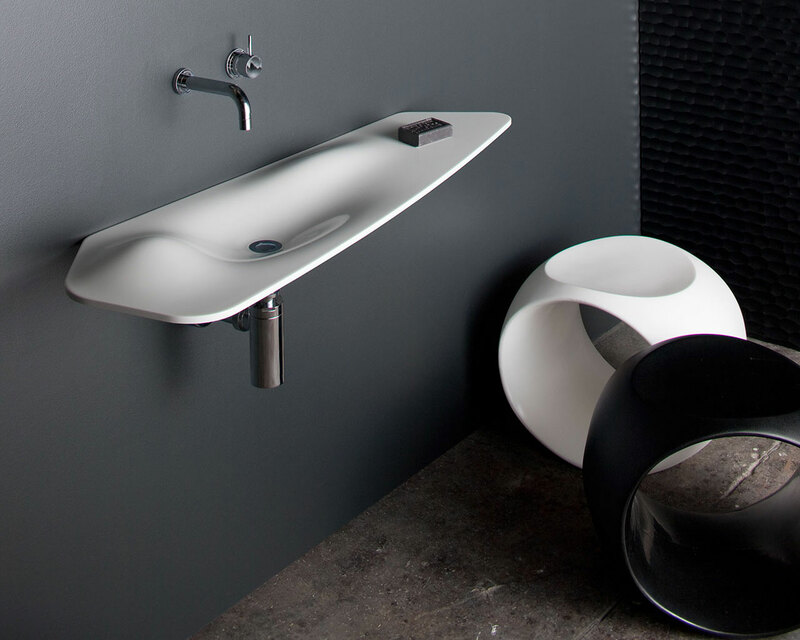 Designed and made in Australia, Dune is a pure sculptured form inspired by the ever changing undulations of sand dunes brings a natural element into the bathroom environment which is elegant, unique and luxurious. 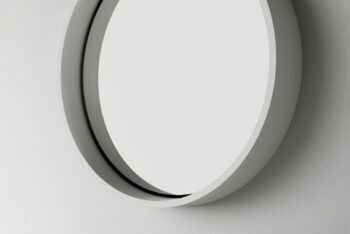 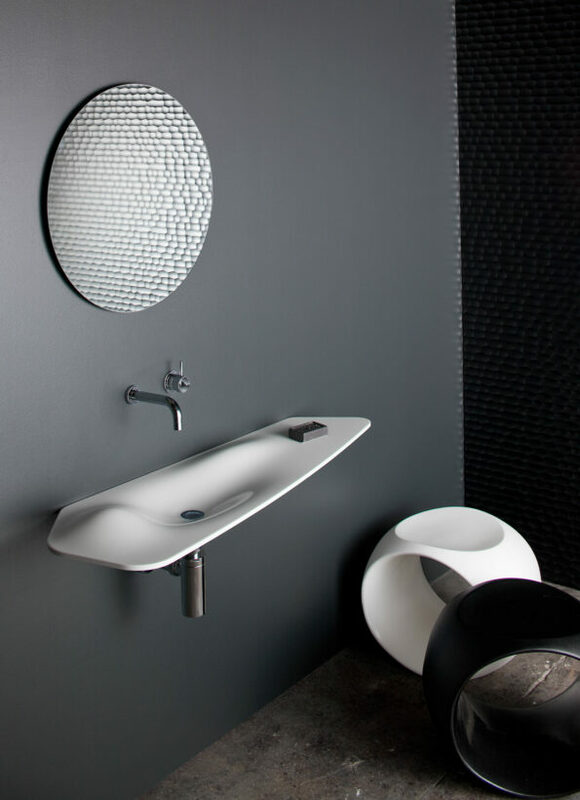 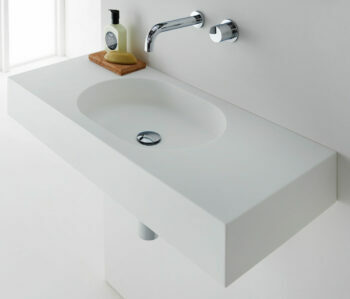 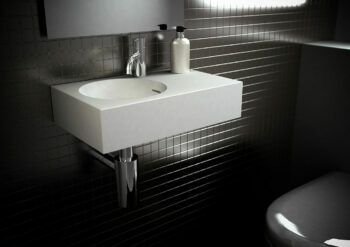 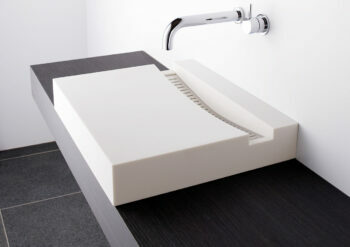 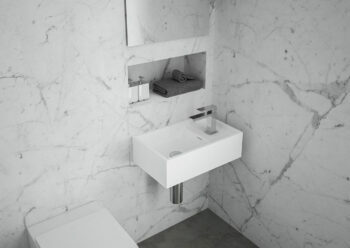 Manufactured from polished solid surface it creates reflection and enhancement of form, is exceptionally hard wearing, durable and is a stunning centrepice for your modern bathroom or powder room. 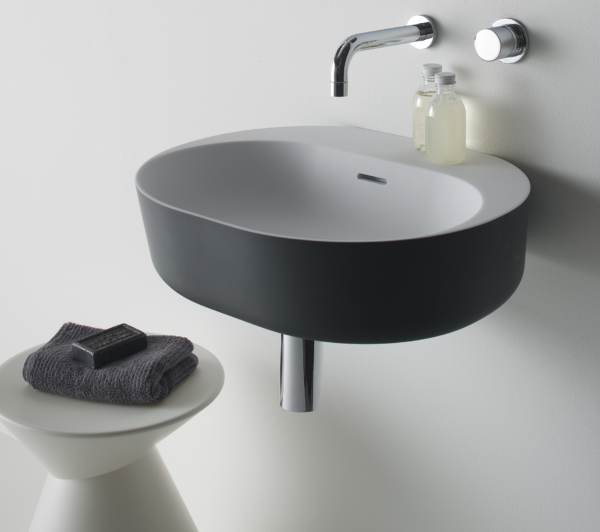 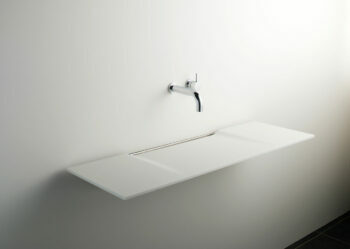 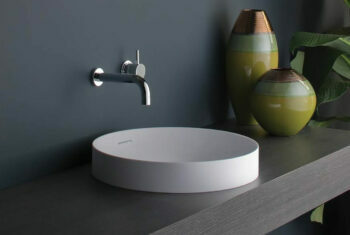 Dune is available with a left or right hand bowl and provides a unique point of difference with uncompromising quality ideal for both residential and commercial environments. 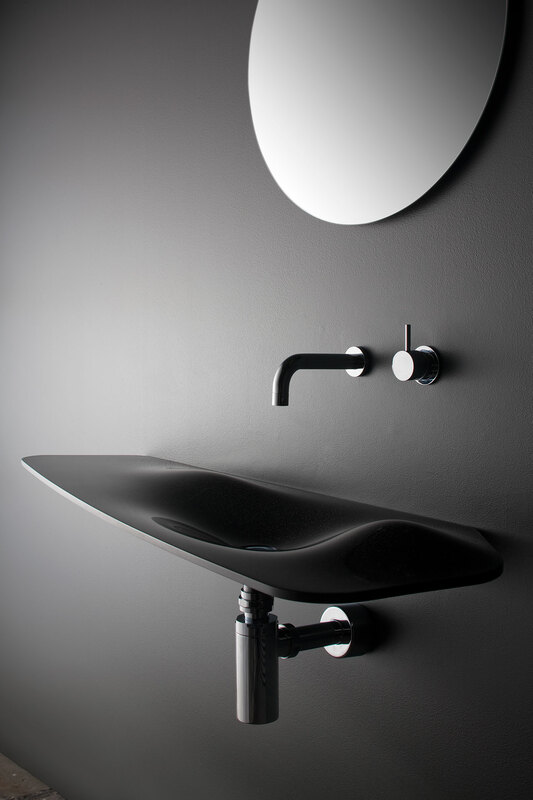 Dune is designed to be wall mounted with wall mounted taps and is supplied with a polished chrome pop up plug and waste and stainless steel mounting brackets.